Get on bicycles – in Norway also in winter! 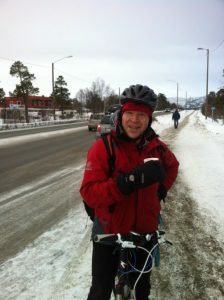 Interview with an active cyclist Lars Christensen about winter cycling also north of the Arctic Circle. 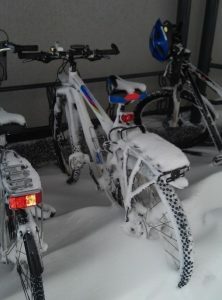 One could assume that Norwegians do not commute to work by bike in wintertime, especially in the northern part of the country. 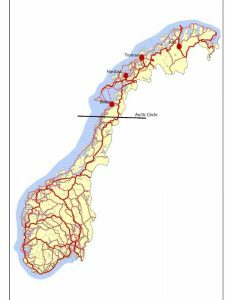 We have learned that it actually works… Would you give us several examples of the cycling share in Norwegian cities on the north generally and also in relation to winter cycling? In winter conditions, what does a municipality usually do to create good conditions for cycling? Good maintenance is important. You have to clear the main bike-roads for snow before people start to commute in the morning. And during the day you have to remove fresh snow. In northern Norway we don’t use salt on the bike-roads. 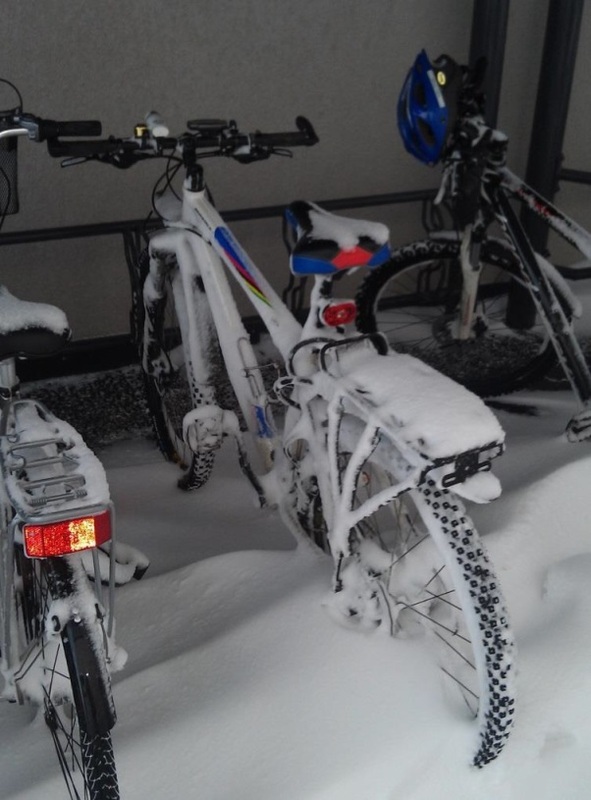 It is easy and safe to bike on a hard snow surface. Because of the pedestrian they always use sand on ice. When the ice disappears, you have to remove the sand. Sand on bare roads makes them slippery. How a cyclist himself can adjust to cycling in winter? Most cyclist in Norway use studded tyres. And I recommend a lot of spikes. I have about 300 spikes in my tires. Then I always have a spike down in the snow. And you want that. The winter is hard on your bike and you need a lot of oil on your chain and your gears. And you need clothes that keep you warm in the cold. You need a warm cap under the helmet and gloves on your hands. You are experienced also in active promotion of cycling… what do you usually do in order to involve representatives of a municipality into cooperation? When the municipality do planning do not always criticize. Tell them what is not good and what is good. And recommend better solution for cycling. 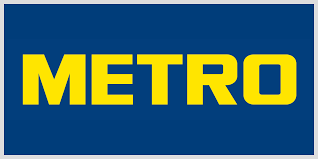 Tell them that you want to meet them and talk about cycling and what the cyclist want. You are the stakeholder. In Bodo they are making a new cycling strategy. And they asked the Cyclist’s Federation to help them because they know we know a lot about cycling. Nowadays, electric bikes are becoming increasingly popular and we expect there will be more of them on our roads in the near future. How do you perceive this new option? Does it have a potential to get more cyclists on the road? I think e-bike is important for they who don’t bike today. They who want to cycle but think it is too heavy, too many steep hills or too much headwind. If we want more car-drivers to cycle, e-bikes are the solution. And I think will see a lot of them in the future. Lars Christensen has a long-term experience in the bike-trails and pedestrian trails planning and mobility management, including planning in the Netherlands and Denmark. He is an active member of an NGO Norwegian Cyclist’s Federation (www.syklistene.no). Lars’s experience is enhanced also by his expert work at the Norwegian Public Roads Administration (Staten vegvesen).